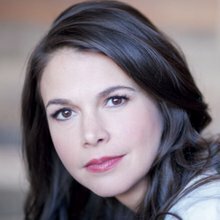 Actress, singer, and dancer Sutton Foster can currently be seen starring as the lead of Darren Star’s hit TV Land series Younger. Her Broadway roles include Violet, Anything Goes (Tony Award), Shrek the Musical, Young Frankenstein, The Drowsy Chaperone, Little Women, Thoroughly Modern Millie (Tony Award), Les Misérables, Annie, The Scarlet Pimpernel, and Grease. Off-Broadway, she has been seen in Sweet Charity (The Pershing Square Signature Center), The Wild Party (City Center Encores! ), Trust (Second Stage), and Anyone Can Whistle (City Center Encores!). 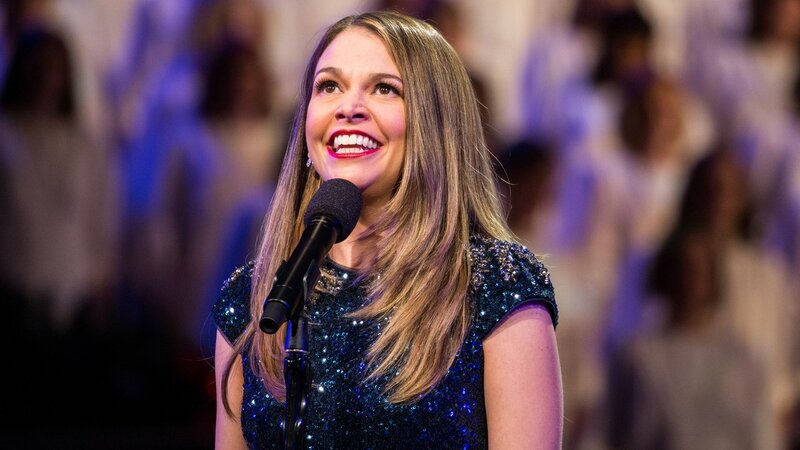 Her two solo albums are Wish and An Evening with Sutton Foster: Live at the Café Carlyle. She has made numerous television appearances including Gilmore Girls: A Year in the Life, Bunheads, Elementary, Psych, Royal Pains, Law and Order: SVU, Flight of the Conchords and Sesame Street. Ms. Foster holds an honorary doctorate from Ball State University, where she also teaches. 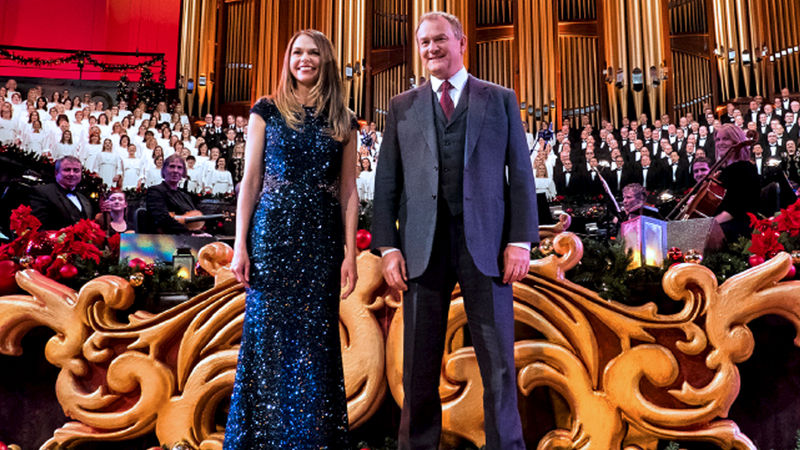 Sutton Foster talks Christmas, and Christmas with the Mormon Tabernacle Choir. The Gabriel Trumpet Ensemble, an 8-person ensemble led by a former member of the Choir, join for the first time and add a new splendor to the program. 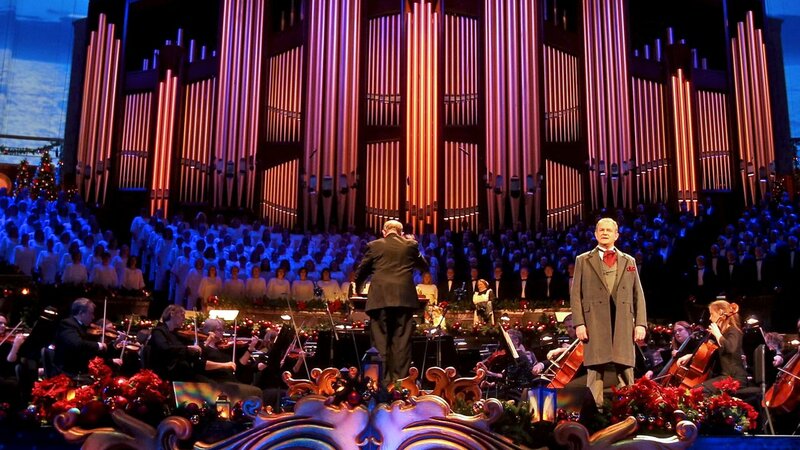 The Choir’s principal organist, Richard Elliott, who conceptualizes a distinct and imaginative organ arrangement that has become a fan favorite each year, offers a creative rendition of “I Saw Three Ships” on the colossal 7,708-piece instrument with a percussion ensemble from the Orchestra at Temple Square. And with an emotional take on John Denver’s “Sunshine on My Shoulders,” a favorite of Foster’s, the repertoire goes beyond Christmas music and pays tribute to her late mother through her favorite song. 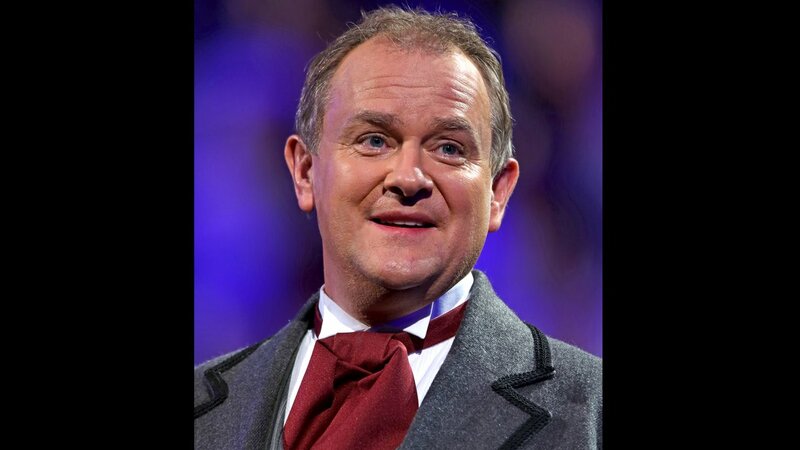 Hugh Bonneville was a member of the National Youth Theatre of Great Britain, studied theology at Cambridge, and made his professional debut in 1986 in A Midsummer Night’s Dream. 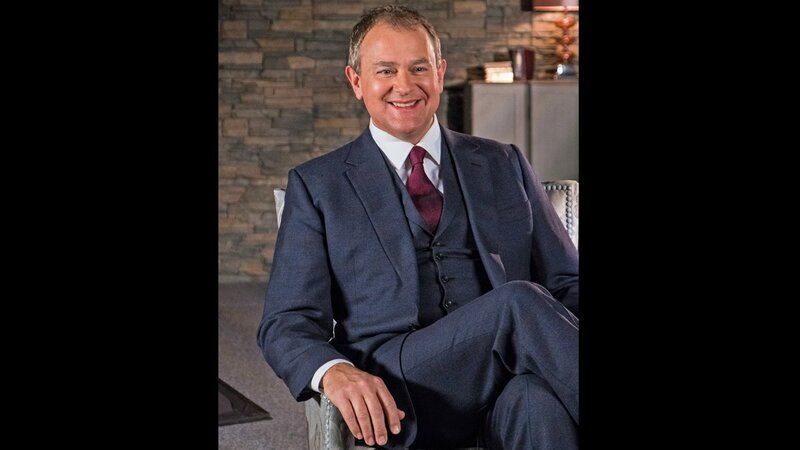 Following several seasons with the National Theatre and the Royal Shakespeare Company, he has become a familiar face to television audiences in both comedies and dramas, receiving a Golden Globe and two Emmy nominations for his performance as Robert, Earl of Grantham on Downton Abbey. 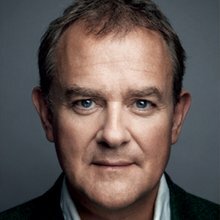 He received four British Academy nominations for his role in the BBC comedies Twenty Twelve and W1A and a further BAFTA nomination for his role in the movie Iris. His recent films include Viceroy’s House, Breathe, and the forthcoming Paddington 2, in which he reprises his role as Mr. Brown. Mr. Bonneville is an ambassador for WaterAid and is a patron of several charities, including the National Youth Theatre and the Primary Shakespeare Company. 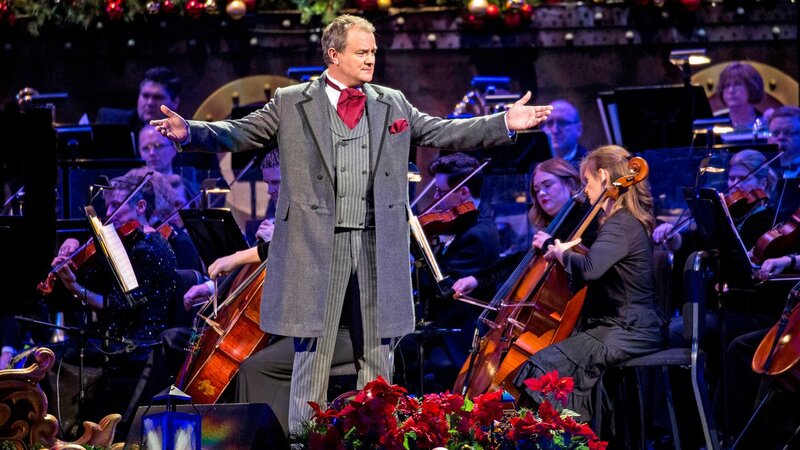 Hugh Bonneville talks Christmas, and Christmas with the Mormon Tabernacle Choir. 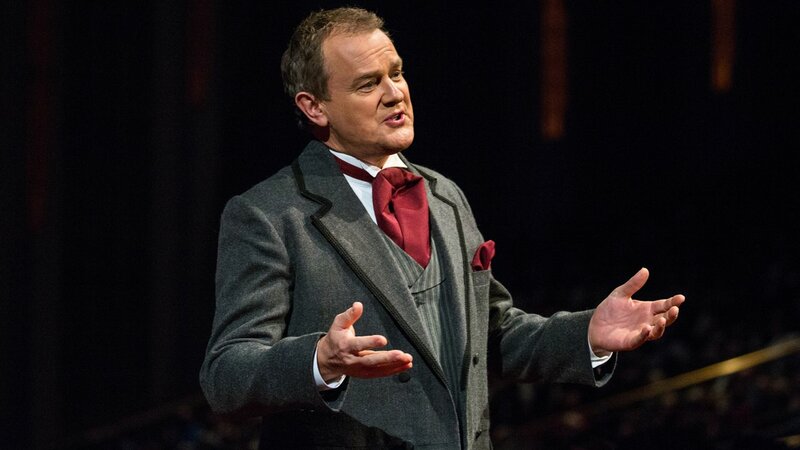 Bonneville punctuates the program with a spellbinding account of the tragic true story of Horatio Spafford, a prominent, 19th-century Chicago-based lawyer who, after a series of personal tragedies, penned the popular hymn, “It Is Well with My Soul.” A reading of the Christmas story from Luke 2 rounds out the program. 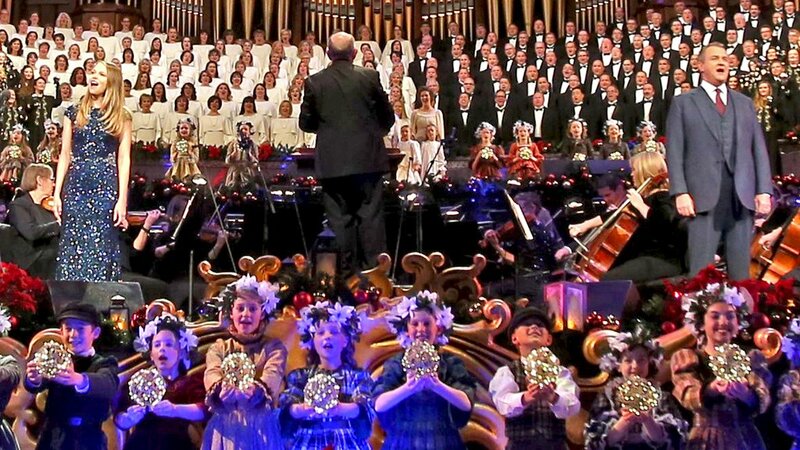 “Christmas with the Mormon Tabernacle Choir” was recorded over three nights in December 2017 in front of a live combined audience of over 63,000 people in Salt Lake City’s Conference Center, located on Temple Square – the no. 1 tourist attraction in Utah, surpassing the state’s five national parks. Tickets were free to the public and sold out in a record seven minutes. 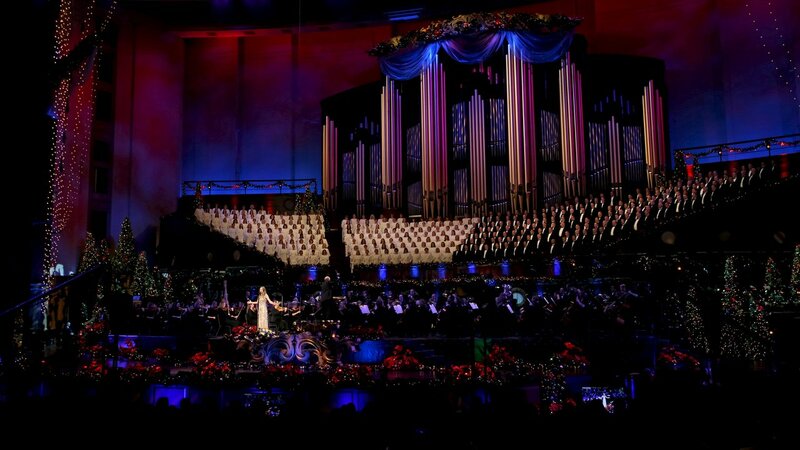 “Christmas with the Mormon Tabernacle Choir” is a storied tradition that dates back decades. 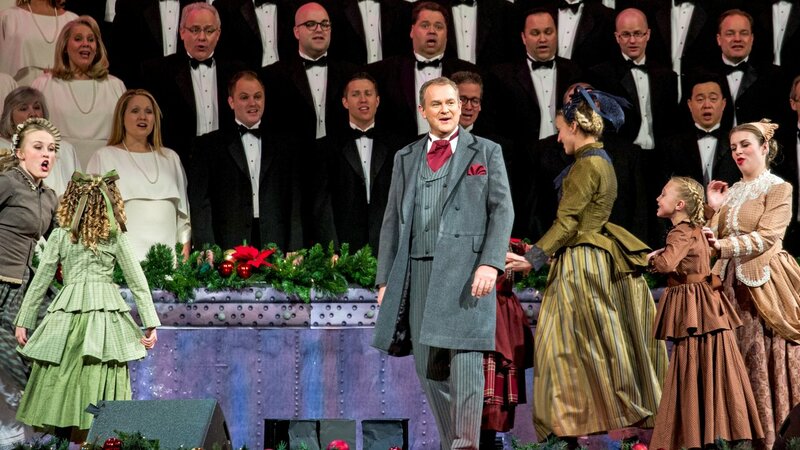 Foster and Bonneville join a rich roster of guests that has traveled to Salt Lake City over the years to star in the phenomenon. 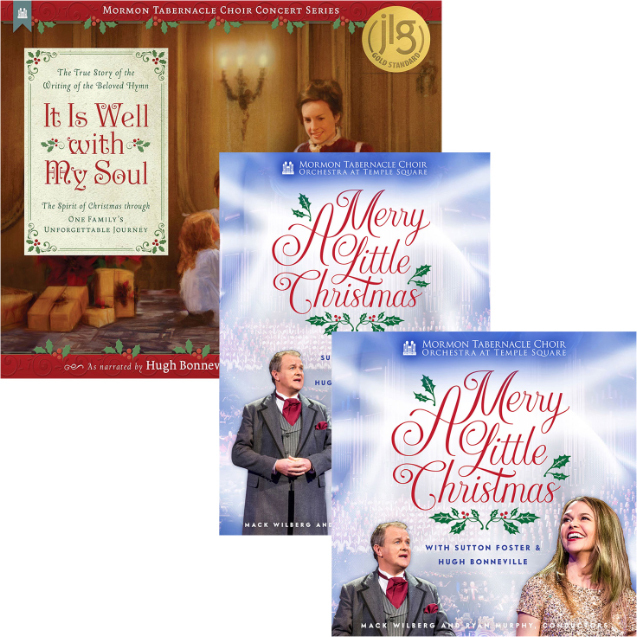 Gladys Knight, Angela Lansbury, Bryn Terfel, Audra McDonald, Ren.e Fleming, Brian Stokes Mitchell, Natalie Cole, David Archuleta, Deborah Voigt, Santino Fontana, Laura Osnes and Rolando Villazón, among others, have performed as musical guest artists. And Pulitzer Prize-winning author David McCullough, Hollywood star John Rhys-Davies (“The Lord of the Rings” trilogy), Emmy and Golden Globe winner Jane Seymour (“Dr. Quinn, Medicine Woman”), legendary broadcaster Walter Cronkite and the Muppets® from “Sesame Street” have served as narrators.